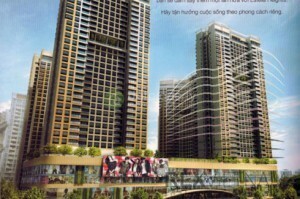 The real estate sector is booming in Vietnam, especially in Ho Chi Minh City. New projects appear each year and the city is incredibly growing up: new buildings are built or designed regularly. If you want to rent or invest in the coming years, here is an overview of upcoming projects in the next two years. After months of construction, Landmark 81 located in the heart of Vinhome Central Park will finally emerge, in the heart of Vinhomes Central Park. With its 460 meters height, Vincom Landmark 81, will reach the top 15 of the tallest buildings in the world. The Central Park complex, ideally located in Binh Thanh district is hosting all the amenities to have outstanding living conditions, including supermarket, park, bbq areas, banks, bakeries, school and hospital. A city within the city. In 2019, Xi Grand Court Mall will show up. Until today, this building remains the largest project in District 10. It links districts 10 and 11 and stay close from prestigious universities, shopping malls and offers many amenities to its inhabitants. Completion date: 2019. 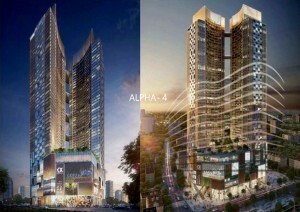 Alpha town and Alpha city by Alpha King are grade A buildings. These buildings will be a new icon of the downtown area with impressive architecture and building surfaces. 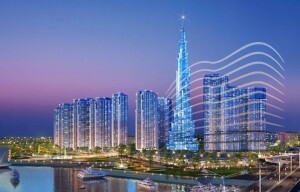 Besides, at Property Guru Vietnam Property Awards in 2018, Alpha King received an award for this project. Alpha Town, expected to be finished in 2019, will follow an ‘Eco-Friendly’ trend, this includes zen garden on the top floor to see the whole city as well as enjoy the fresh air. This initiative is receiving a warm welcome. 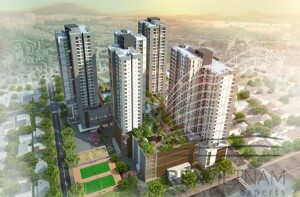 Alpha City will offer a dynamic lifestyle with facilities and innovative digital apartments in 2020. 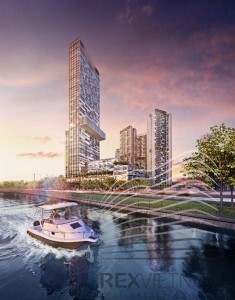 Dragon Riverside City apartment complex, developed by Phu Long Real Estate Joint Stock Company, is located in District 5, which is the busiest trade area in Saigon. The project gathers three main zones. 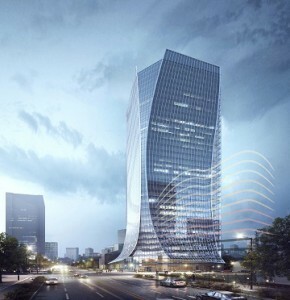 There are the Dragon Tower with a 5 star hotel, a grade A office and some serviced apartment ; the Dragon Residence luxury with 1060 apartments and the Dragon Mall, an international trade center. Completion date : 2020 onward.